Multiple For This Vanna Pattern? 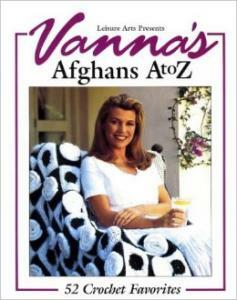 I have the book: Vanna's Afghans A to Z. There is a pattern called: Vanna's Choice on page 113. I can't figure out the multiple for this pattern. I don't have the book, but as a general rule of thumb: if something starts with a plain chain (versus, for example, a chain and then a row of plain stitches and THEN the pattern), you can make a chain somewhat longer than you want, do whatever number of repeats to achieve the width you want, and later pick out the extra chains. It will not unravel at the starting end. I also do this when you have to chain eleveny zillion, I do count but always make a few extra chains just in case. I almost always make a chain longer. Specially when that chain is long. It is a lot faster to rip couple/few extra chains than to rip that whole thing and start from the beginning.